"Thank you SAIIE staff for making my first study abroad an amazing experience, you have changed my life forever!" I was part of a faculty-led study abroad group from the University of Wisconsin-Platteville that traveled to Sevilla, Spain from January 5 - January 19. This was the Spanish American Institute of International Education’s (SAIIE) first Vertical Integration in Agriculture and International Trade Basics focus study abroad program. Our trip was fantastic due to their planning and preparations months in advance. 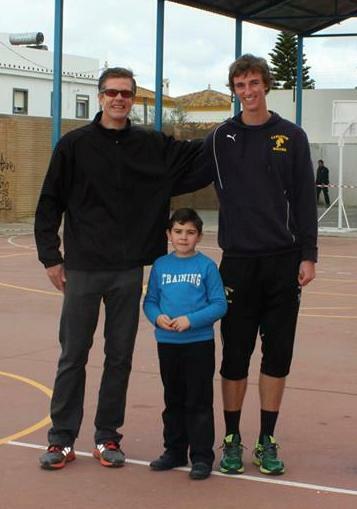 The accommodations for our students to stay with host families really allowed them to experience the Spanish culture. They also arranged for accommodations for each faculty leader to have an apartment.Upon our arrival, staff members from SAIIE, Stuart and Sean greeted us and accompanied us on a private bus to the Hotel Murillo located in the Santa Cruz district, where we would spend our first night in Sevilla. Later that evening we dined at the Casa Román for our first Spanish tapas dinner. The food was amazing! The next morning after checking out of Hotel Murillo, we walked to Bodega a local bar where we experienced a typical Spanish breakfast. It consisted of mollete (toasted flat bread) topped with either butter and jam or olive oil and tomato, and Iberian ham along with either coffee or freshly squeezed orange juice. Which I would like to add, was another fantastic cultural eating experience. Upon arrival at the SAIIE office building the entire SAIIE staff greeted us, making us feel very welcome. SAIIE provided a pamphlet to all students and faculty, which included our housing details and map of Sevilla, a schedule of the program activities, site visits, internal services, medical information, and rules and regulations. Throughout the two weeks, Dr. Kevin Bernhardt, UW-Platteville faculty had the opportunity to teach our students in the SAIIE classroom on the basics of international trade. Both students and faculty members had a first-hand general introduction to the history of Spain, led by Professor Reda El Kachtoul. The historical time-period clearly marked the history and society of Andalucía and the importance of Sevilla, linking its past with an appreciation seen around the city. Together with readings, students and faculty learned and visited the following historical places in Sevilla, Barrio de Santa Cruz, Parque de Ma Luisa and Plaza de España, and Cathedral of Seville led by Professor El Kachtoul. The SAIIE staff went beyond to give our students the best positive experience. Honoring a last minute day trip to Ronda, a mountaintop city located in Spain’s Malaga province where the views of the El Tajo gorge are breathtaking. Ronda is also home to Plaza de Toros, one of the oldest modern day bullfighting rings. One thing I learned about bullfighting is when entering the bullring my right foot stepped in first. Feeling at home in Sevilla, the students arranged for a night out to watch a professional soccer (football) game at the Ramón Sánchez-Pizjuán Stadium, built in 1958. Upon entering the stadium seating area, the atmosphere was filled with such excitement, for the most unforgettable evening, to last a lifetime. Words alone cannot express the gratitude I feel towards the SAIIE staff, for providing our students with a wonderful experience!Words alone cannot express the gratitude I feel towards the SAIIE staff, for providing our students with a wonderful experience! Oh, I almost forgot the most important member of the SAIIE family “Stevie”. He was always happy to greet us at the SAIIE office with a smile. 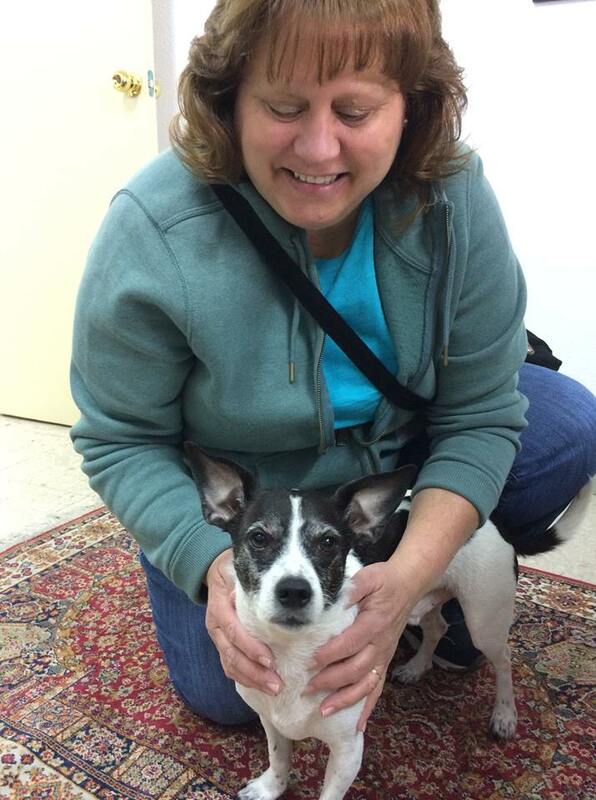 "This was my first experience with SAIIE and I definitely hope not the last!" I was part of a faculty-led study abroad group from Viterbo University that traveled to Sevilla, Spain from May 16- June 2nd. This was my first experience with SAIIE and I definitely hope not the last!! SAIIE was an exceptional institute to work with – they are amazing. Our trip went without a hitch and it was due to their planning and preparations. SAIIE arranged all accommodations for our students with host families in Sevilla. Viterbo University faculty grouped the students based on their ability to speak Spanish so that there was at least one student who had a good ability to understand and speak the language in each home and SAIIE provided excellent, vetted families for our students to stay with. SAIIE also arranged for an apartment for the two faculty leaders to share during the trip. Upon our arrival, we were met at the airport by two SAIIE members and accompanied on public transportation to the city center and each student group, along with faculty, were personally met by their host senora or accompanied to their home. All day trips (Ronda and Cordoba) and the overnight trip to Grenada were arranged by SAIIE and the transportation was via private bus. SAIIE staff accompanied us on each trip and also arranged for knowledgeable professional tour guides at each site for our group. Upon arrival to Sevilla, all students and faculty were also presented with a folder that contained not only a highlighted map for walking directions from their specific home to the institute and meeting places, but also a personal booklet that contained housing details, calendar of activities, and miscellaneous information such as the public transportation, medical information, rules and regulations, etc. SAIIE provided an orientation for the students the evening of our arrival and also a welcome dinner. Our students worked with students from Instituto Heliopolis to learn some cooking and also to plan a presentation for a group of middle school students and also worked with athletes from Club Nautico. When city buses needed to be utilized to get to these sites, we were always accompanied by SAIIE staff and the buses were paid for by SAIIE. We could not have asked for better on-site logistics and support. 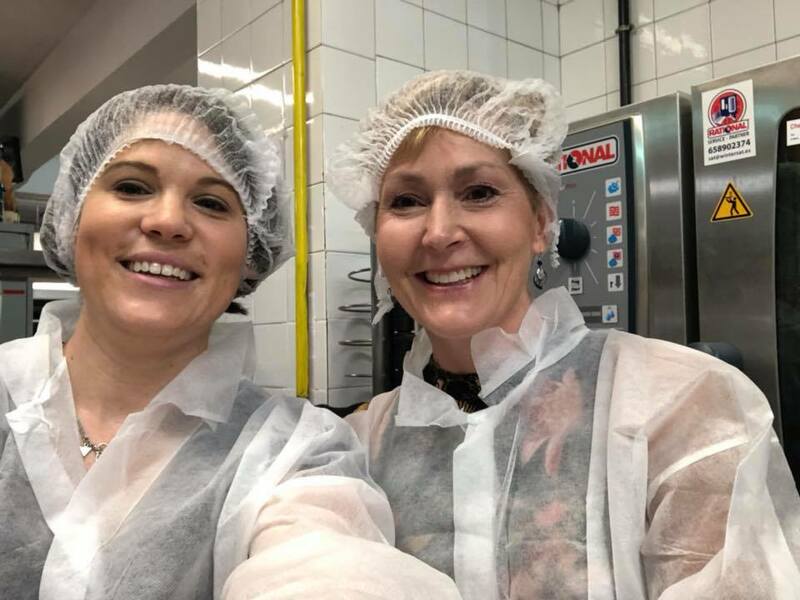 WOW – we didn’t have to do anything!! All on-site logistics were taken care of by SAIIE. We had work space at the institute for the students, a welcome meal was provided for us and meals for students were provided during the week (through noon on Friday) by their host families. We could not have asked for a better experience!! All transportation and logistics like tour guides, were provided and was exceptional!! We had a student who needed medical attention and SAIIE staff was ready to accompany faculty and student to urgent care. They didn’t hesitate to drop everything they were doing to help out. I cannot say enough about our time in Sevilla thanks to SAIIE. They went above and beyond to make certain our students were provided with the best possible experience and were so willing and able to honor last minute requests and provide us with all that we could ask for – from arranging the experiences required to meet our course objectives to the “optional” evening activities to the day trips!! THANKS SAIIE – you are wonderful and experts at what you do. "All on-site logistics were taken care of by SAIIE and we could not have asked for a better experience!" We were met by two members of SAIIE at the Sevilla airport upon arrival who escorted via public transportation to our housing. From arrival to completion of the course SAIIE ensure that we had a stress-free and outstanding experience. All transportation and logistics like tour guides and housing, were provided and was exceptional!! SAIIE even added an additional day trip after our arrival at the request of faculty and students. They were flexible and accommodating at every step of the course. SAIIE coordinated and organized all of the student learning experiences with Club Nautico, Lora Tomayo and Heliopolis. Our students meet with Spanish athletes at Club Nautico for a series of interviews about their dietary intake and to provide nutritional guidance to improve their sports performance. Our students also had the opportunity to work in the kitchen with Heliopolis students to learn how to prepare traditional Spanish dishes. Our students and the Heliopolis students had a blast and when they were done everyone got to sample the dishes they had prepared, delicious! Lastly, our students worked with the Heliopolis students to prepare a cooking demonstration on the health benefits of traditional Spanish dishes for the Lora Tomayo students. The experiences SAIIE setup with Club Nautico, Lora Tomayo and Heliopolis were outstanding and unforgettable for our students. We cannot express enough our complete satisfaction with SAIIE!! They thought of everything and provided excellent customer service for this program. "We’ve had the very good fortune to work with SAIIE for the past six years." Because of their creative, thoughtful vision, their professional, organized, and accessible team, and their tireless work on our behalf, Carleton College enjoyed two fantastic faculty led experiences in Sevilla. We are excited to continue relying on SAIIE to make our future programs in Spain so successful. From home stays, to excursions, to service projects to the day-to-day details, what truly sets SAIIE apart is their personal attention to our students and their remarkable ability to connect our group with Sevillian life and culture! 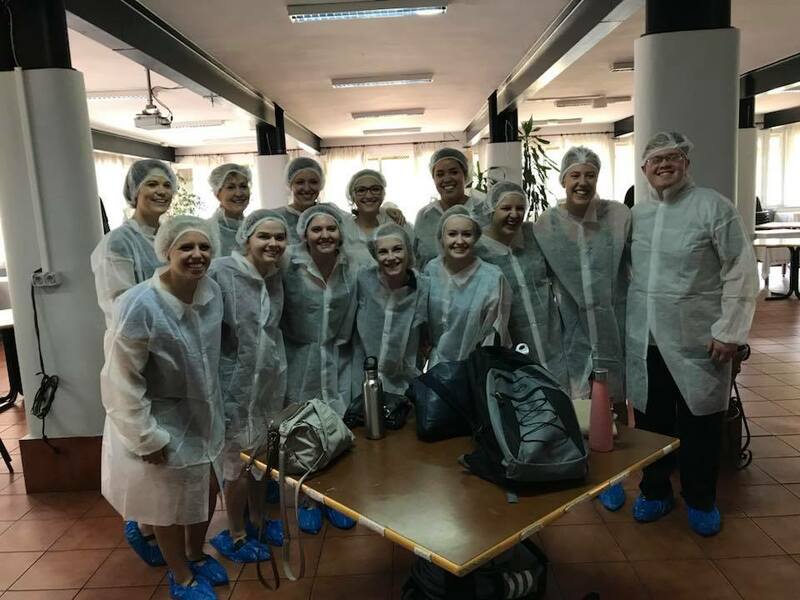 At every step of the process, we’ve been incredibly impressed with every facet of their organization and we know our next group of students is going to benefit from their exceptional service and over 30 years of study abroad experience! SAIIE’s custom-made programs consider your specific needs, are flexible, and well-organized. The SAIIE staff did a fantastic job organizing our program for us. From the minute we arrived we felt in safe hands and hardly had to worry about a thing as it was all taken care of. 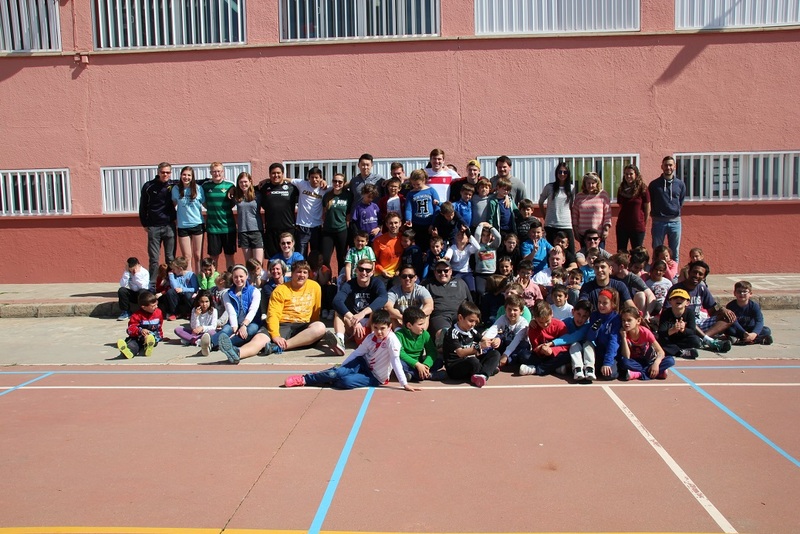 They organized a sports camp for the students to teach a variety of American sports to the Spanish kids which was great and our students really loved teaching the kids and building relationships with them all whilst learning about a different culture. The SAIIE staff worked non-stop to provide every service and request for our program. I would highly recommend anyone thinking about organizing a faculty led program in Spain to do it with SAIIE!